After several rainy Maui days, the skies opened up over Leon & Kara’s lovely Olowalu wedding and the sun shone brightly on their special day. The whales were out in force, and at times were a silly distraction. 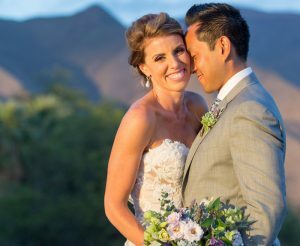 Maui photographer Scott Drexler was there to capture the moments of their beautiful day at Olowalu Plantation. Read more testimonials and reviews of Tropical Maui Weddings here.